After 15 years, High Impact Glass Solutions has become a template for peers in the window tinting industry to replicate. Elevating our techniques and practices to meet all glass architectural challenges fuels constant growth to our base of experience. We bring this experience through palpable window tinting installations with solid results for homes, businesses, vehicles and boats in and around southern Florida as well as internationally. Our focus remains steadfast. Listen, evaluate, recommend, and deliver the best solutions for each customer’s situation. We accomplish this goal with in-depth, personalized customer consultations and by emulating LLumar & Vista SelectPro’s high standards for excellence. 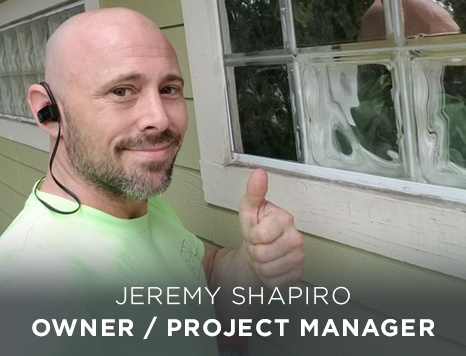 This formula is embedded into my company’s performance and has been key to our reputation for window tinting leadership throughout Florida and beyond. Just as an athlete trains vigorously to become a champion, it is my own tenacity for excellence that bolsters the character of my company. In the world of window tinting, I will never settle for less than striving to be the best. As early as my teens, I worked under the guidance of my Dad whose window film company grew to be one of the largest in Florida. After years of intensive training, I integrated all that I learned with my own specialized techniques and launched High Impact Glass Solutions in 2003. It takes a lot more than just knowledge to become the “best”. I attribute the notable success of my company to the development of my craftsmanship and unwavering passion to always excel. With a keen eye for decisive solutions and an innate creative nature, I also invent and manufacture tools that help tinters world-wide to perfect their skills. Over all, mastering the art and many facets of window tinting have surpassed my goals for a profession.They are the very essence of who I am. 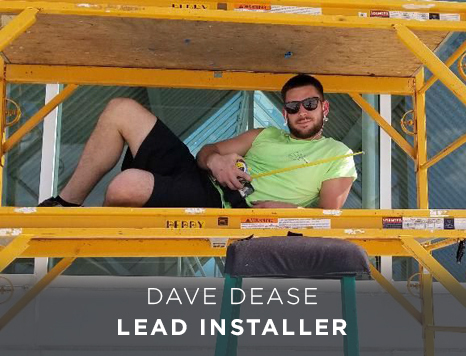 Dave Dease grew up in New Jersey where he worked as a professional tinter for his brother’s window tinting company. His talent for tinting was matched by his athletic abilities and while attending Wilmington University in Delaware, Dave excelled in the sport of soccer. Being an outdoor enthusiast, Dave longed for adventurous times with more “fun in the sun”. This desire prompted him to change his direction and move to Florida. In his search for employment, he heard about High Impact Glass Solutions from a friend in the tinting business and reached out to me. Dave’s addition to my company as an auto and flat glass tinter quickly turned out to be a “great game plan” for the both of us!